It's easy to get drawn into the Switch eShop's current surge in momentum and get a little carried away, declaring it as a bright new dawn for the download store. That does a disservice to the early efforts of the Wii and DSi stores, and the notable improvements and variety of games seen on the 3DS and Wii U eShop. Though the last-gen home console struggled commercially it was home to a number of fantastic games, including some download-only gems. One impressive title from that era was the debut title of 13AM Games, Runbow. It embraced the multiplayer potential of the Wii U and fared quite well, before moving across to other consoles and also the New 3DS. The latter portable entry was quite a challenge, and the company has also dabbled with publishing in bringing Pirate Pop Plus to Wii U and 3DS. Now it's all about the future, with Runbow due on the Switch in 2018 and work underway on the studio's next big game. We caught up with 13AM Games' CEO Alex Rushdy talk a little about that history, and his thoughts on the Nintendo Switch. First of all, congratulations on the success of Runbow on Nintendo platforms and its upcoming release on the Switch. Can you talk about how and when did 13AM first started out? We started out in 2014, when we were all still in school at George Brown College. We jammed on a weekend game together. Two actually- a top-down arcade game called Ms Cthulhu and a party game called Runbow. Runbow became a hit around the Toronto dev scene and won an award at Level Up Showcase, so we decided to put all our chips on the table and work on it full time. Fast forward a year and a bit and we had it shipped on Wii U, with a promotional video guest starring the man, the legend: Reggie Fils-Aime. Pretty surreal. You made your Wii U debut with Runbow and then moved on to publish Pirate Pop Plus; can you talk about how they performed critically and commercially? Runbow is our pride and joy. The critical success of that game brought a tear to my eye on launch day. People just “got it” - you know? We still get tweets, e-mails, and in-person compliments thanking us for making it. Makes me all warm and fuzzy inside. While Satura’s Space Adventure didn’t get a lot of standalone reviews, it’s definitely the strongest single-player content in Runbow period. It’s head and shoulders above the original in quality. Everyone who has played it seems to agree. We’re really happy with how it turned out, and are happy to deliver a Satura adventure for all of her fans! Commercially, we’re one of the better selling Wii U indies out there, and after releasing on Xbox, 3DS and PC we’ve managed to make a lot from this game. I wouldn’t say we’ve reached Shovel Knight or Cuphead levels of success, but we’ve had a strong enough showing that we’ve used it to keep us alive for a few years! Pirate Pop Plus was a bit of an experiment for us. We wanted to try game publishing after the success of Runbow. I fell in love with PPP after playing it in Tokyo in 2015. The guy behind it, Hawken King from Dadako, is a really smart and talented guy. We worked with him to expand it a bit and get it on Wii U, 3DS and Steam. What made you decide, initially, to launch Runbow on a Nintendo platform? Well, for starters it always felt like a “Nintendo” game to us - and when we showed it to Nintendo they agreed. Really, Nintendo’s very positive reaction to the game and their support in terms of marketing and development sealed the deal for us. 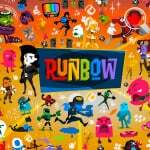 How did you come up with the core concept for Runbow? At Global Game Jam 2014, a group of us wanted to make a multiplayer game and were given the theme of “We don’t see the world as it is - we see it as we are” - from that we started designing concepts around color and vision and things appearing and disappearing, and we ended up with the color mechanic and an 8-player multiplayer game. We just kept evolving it from that initial concept. What were the game's influences, and did you feel any pressure regarding the nature of the game and the legacy Nintendo has with making platformers and multiplayer titles? We were definitely influenced by games like Bomberman, Smash Bros., Mario Kart, and Nidhogg. We were also heavily influenced by the art of Saul Bass, the Czech New Wave poster design, and Pink Panther cartoons, as well as a general love of movies that translated into a ‘movie poster’ aesthetic. We definitely felt some pressure regarding making a platformer as our studio’s first ever game on a Nintendo platformer (for the majority of us, it was our first game ever). But that pressure never scared us - it just pushed us to make something we knew would be up to the challenge. We spent months fine-tuning and redesigning things like jump arcs, controls, combat, etc - we wanted to make sure the game was tight and responsive because we knew Nintendo games would take nothing less than Nintendo-level-quality when it comes to platformers. It kind of felt like cooking a meal for a professional food critic! What were you and your team's favourite Nintendo games growing up, and during the transition into game development? Well, a lot of us grew up on classics like Mario, Smash Bros., Mario Kart, and Mario Party - we also have some big Zelda and Metroid fans as well. I’m personally a huge F-Zero fan but we are a rarer breed nowadays sadly! When it came to development the games that kept us sane were Game and Wario (the multiplayer in this is still a favourite), Spin the Bottle: Bumpies Party, and the occasional game of Nintendo Land. The Wii U was such an awesome local MP system! Moving onto the game's transition to the New 3DS, how was the process of bringing the game to a portable system? As far as I know we are the only Unity game on 3DS with online play, and that involved doing a lot more work than we expected. Loads. Runbow Pocket was a real monster! Despite looking fairly clean and simple, Runbow has a lot going on under the hood. What can be made to run at 1080p60 on Wii U struggled to fit into a console with less than a quarter of the available resources (considering Unity overhead). But we got through it, learned a lot, and now we’re one of the few devs who can say we pulled it off! Runbow is now on XBOX One/ PS4 and scheduled for release on Nintendo Switch in Q1 2018. What was your interest and exposure to the console when it was known as the 'NX', especially after the fate of the Wii U? From the get-go we were all really excited about the NX and had a lot of faith in it. To us it just made sense for so many reasons and it was exciting to see Nintendo approaching a more traditional game console again. I mean, I’ll miss asymmetrical play for sure, but the Switch is just a lovely rugged little machine that works beautifully. What are your thoughts on the success of the console and its library this year? It makes me wish we didn’t have so much on our plate so we could get Runbow out earlier! I’m happy that the Switch is doing well and I’m glad to see indies being successful on the eShop. I hope this is something that doesn’t have a sharp drop off like Wii U and that this momentum keeps going. A healthy platform is good for everyone! It's a perfect fit for Switch's hardware, but when was the decision made to bring the game over? The decision was made a long time ago, well before the Switch reveal, but we didn’t finalize plans to get working on it until we found the right partner. We want to keep working on new games and not just keep making ports, so once we wrapped Xbox and 3DS we decided to outsource the Switch and PS4 versions. We had to find a partner that we could trust and that was right for us, and so far we are really happy with what HeadUp Games and Stage Clear Studios have done. Those guys rock. 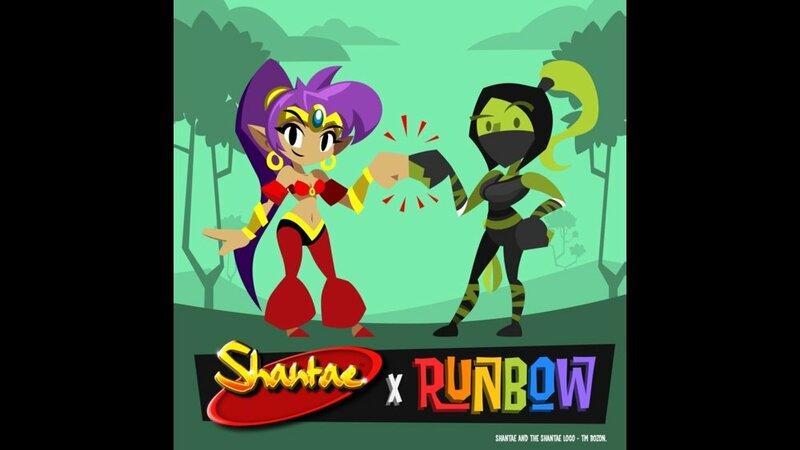 While it means Runbow will take a little longer to come out, it ultimately means we can get more games out sooner. So look forward to that, please! Besides its control set up, are there any other Switch features you are interested in using with Runbow or future projects? While not for Runbow, I wanna use that silly little IR camera. Like, what even is that? No one has been able to show off its use or the reason behind its inclusion on the Switch. I need to make something that uses it! How has development been compared to the other Nintendo, as well as current gen consoles? So far, Switch is very easy to work with. And the dev kits are way more streamlined and pretty. There's a strong sense of community among indie developers recently, and that was demonstrated by characters from Image and Form's SteamWorld Dig and Drinkbox's Guacamelee appearing in the game, as well as your characters appearing in elsewhere too. With the ongoing success of Indies on the Switch, will we see any more crossovers or Switch-specific content at launch or in the future? Possibly! We’d love to see Hue, Val and Satura appear in more crossovers, and maybe have future 13AM IP appear in crossovers as well! 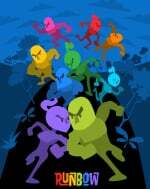 Is there anyone you'd like to see in the Runbow universe? I feel like we tackled the indie scene pretty well, so I’d like to see someone like Mario or Sonic show up in our game. Expand into all types of characters. Hell, if it were up to me I’d throw Ultraman in there. I wanna see that happen. What's next for 13AM games? We’re cooking up a spicy new game in our lab - I wish I could share it with everyone right now but it’s still top secret. Look forward to hearing about it next year - on the Switch! We'd like to thank Alex Rushdy for his time. I have this on Wii U but like the countless other games I own, I haven't gotten around to playing it. 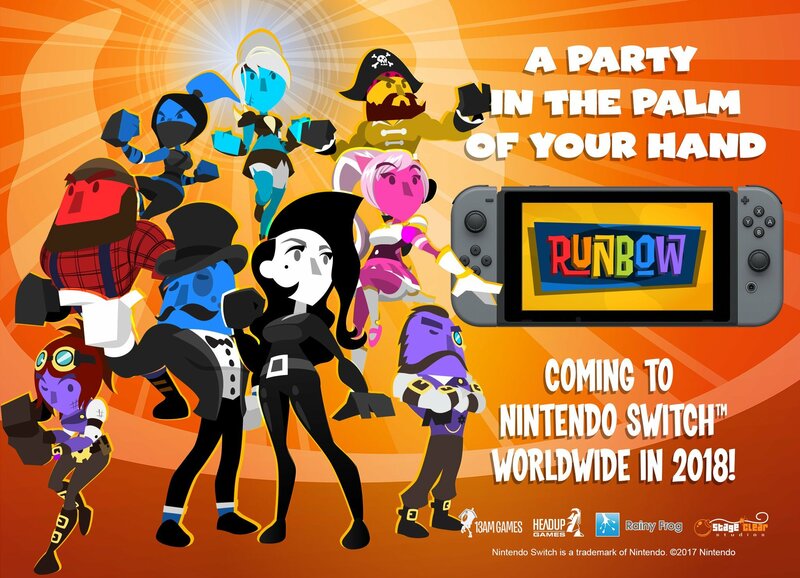 Runbow was a fantastic Wii U game and will be a perfect fit on the Switch. Day 1 buy for me. Last time I played this on Wii U it was almost impossible to find an online game, so it would be nice if they added cross-play between Switch and Wii U, but I know there's almost no chance of that happening. It's a great game though. Runbow was one of the games on my wiiu that made non wiiu owners say, "Wow, I really want a wiiu." I definitely think Nintendo should have poached them for first party work. I would have loved to see them work on an Nintendo IP. 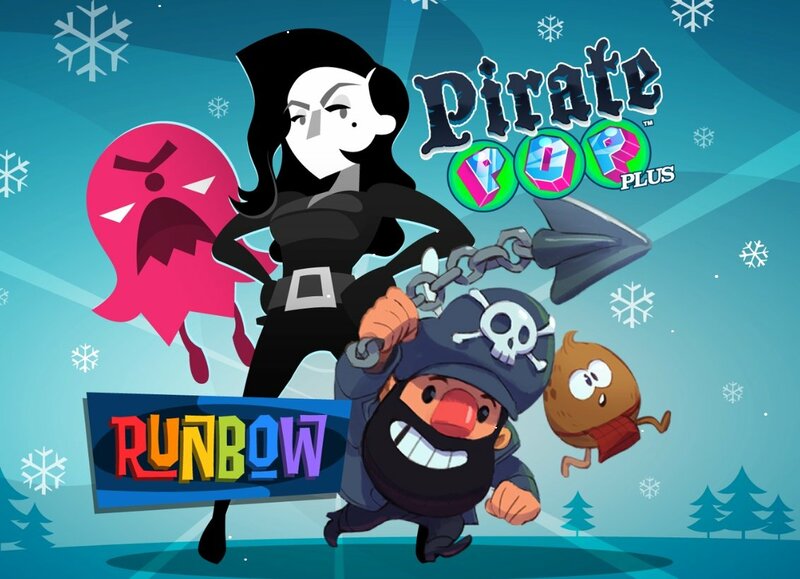 I want Runbow again for more multiplayer fun, but I’d love to have Pirate Pop Plus back as well. Love that one. Runbow was terrific on the Wii U. My two sons and I played that one a lot. I would say that if you don't have friends to play with, this one might be a pass. I'm looking forward to their new upcoming game! I had some fun with this on Wii U but not sure it's a game I'd purchase again. I think I got it in one of the Humble Bundles. We tried to have an online tournament with other NL members from the forum but it was a bit messy,which was a shame. I got Runbow with the Humble Bundle but I'm afraid I just couldn't get into it. Pirate Pop Plus on the other hand is excellent, love it, and would be a great fit on Switch as it looks and feels like a portable game. @SLIGEACH_EIRE No of course not, because you’re always on here spewing venom about a system you despise despite not owning it. So it’s no wonder you never play anything. Maybe if you took some time off and played some games you’d chill out a bit (which is much needed). And you’d definitely make these comment sections a whole lot better as no-one would miss you. How the mods haven’t banned you for flame baiting/trolling is beyond me. @GannonsChild You're a hypocrite who joined 1 minute before making your trolling comment that has nothing whatsoever to do with the story. I'm playing Super Mario World at the minute and briefly played BOTW in the last few days for the XC2 armour. What a great start to your life on NL. No doubt another person using an alias account. I didn't say anything bad in my comment. That guy Alex Rushdy comes across as a highly likeable person! I love how passionate he is about his favourite franchises, game development in general, the Wii U (and Switch) and 13AM's own IP of course! Runbow is easily one of the best indie games I've ever played (next to Limbo, Affordable Space Adventures, Art of Balance, Cloudbuilt, Aperture Tag, Beatbuddy, Banished, Human Resource Machine, Splasher, OlliOlli) and it's astonishing how this was their very first game! I thought it was pretty clear what that IR camera was for... eating invisible burgers. I mean, what else does it need to be for? Aren't invisible burgers enough for you insatiable ********!? No one play this game online on WII U. Its sad because Runbow is excellent. Hope the Switch version will have a lot of new content. Exclusive content of course. I have unlocked everything on the WII U version. A huge fan since the day 1. @shani I met Alex at TGS this year and I can confirm that he is a fantastic guy. It was a pleasure to talk to him. 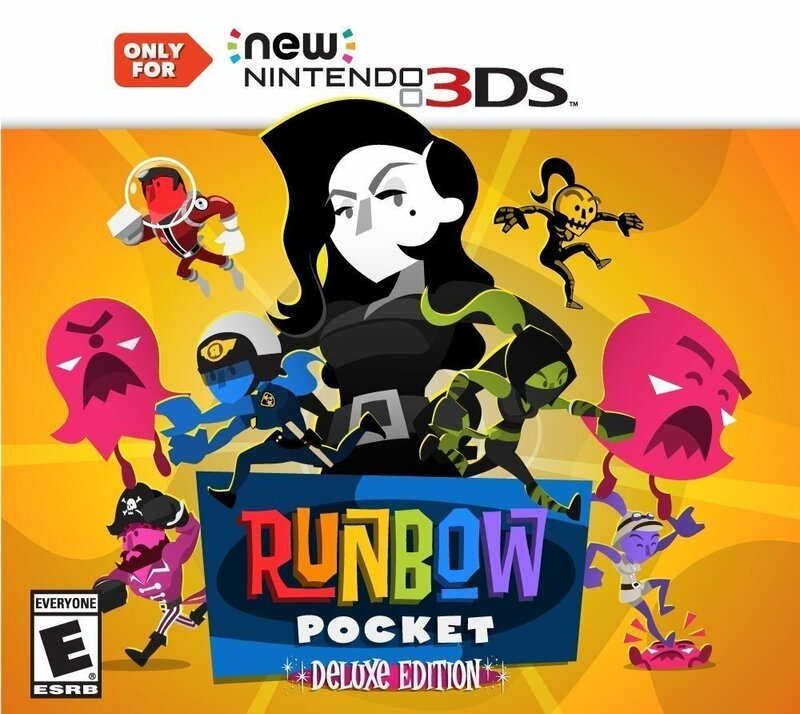 My only gripe with Runbow is that the EU never got the physical release for the Wii U version. I've pondered many times on importing it along with Giana Sisters: Twisted Dreams and Shantae: 1/2 Genie Hero so I can have physical copies, even if I can't actually play them from disk. One of my favorites on the Wii U. I actually played it a little today thinking man I hope this comes to the switch and ppl actually play online. There were a few weeks when it launched and during the Humble Bundle that online was decent. My wife and I probably put 50 hours into it. I'll probably double dip on this one. This game plays like a Nintendo game, these guys are good. We had some good fun with this on Wii U, but since I already own it, my willingness to purchase it again will depend on the pricetag for the Switch. It's too bad Nintendo and/or 13AM games won't have the eShop recognize that my NNID owns Runbow (even paid full price) and give a significant discount. At half price many people would double dip. Think about upgrading VC games from Wii to Wii U for $1-3. If it was a game I liked at all I did the upgrade. This, Shovel Knight and Affordable Space Adventures are my favorite Nindie games. @GannonsChild It's probably because technically that person never crosses a certain line while ultimately increasing the number of engagement in the threads, by angry ppl yelling at him/her. Prob good for their analytics or something. Someone made a dummy account of them and that seems to have shut them up a bit in the last couple days.